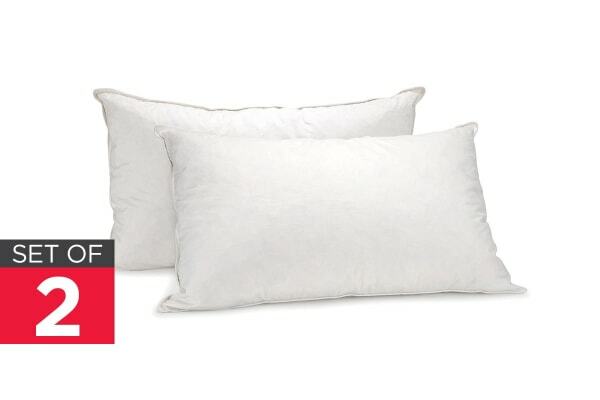 Enjoy an amazing night’s sleep with these luxuriously soft and supportive pillows. Royal Comfort Goose Feather Down Pillows offer luxurious comfort for an incredibly weightless sleep. 100% cotton covers and 95% goose feather filling with 5% goose down provides the ultimate in softness. The breathable design effortlessly supports your head, ensuring you wake feeling refreshed and well-rested. They mould to your shape..great! !